Was mein Leben reicher macht? Someone, somewhere, once said that we become the books that we read. So, if we read happy books, we get happy, right? Well, now you can experiment on yourself with the nicely produced volume Was Mein Leben Reicher Macht from Knaur Verlag. 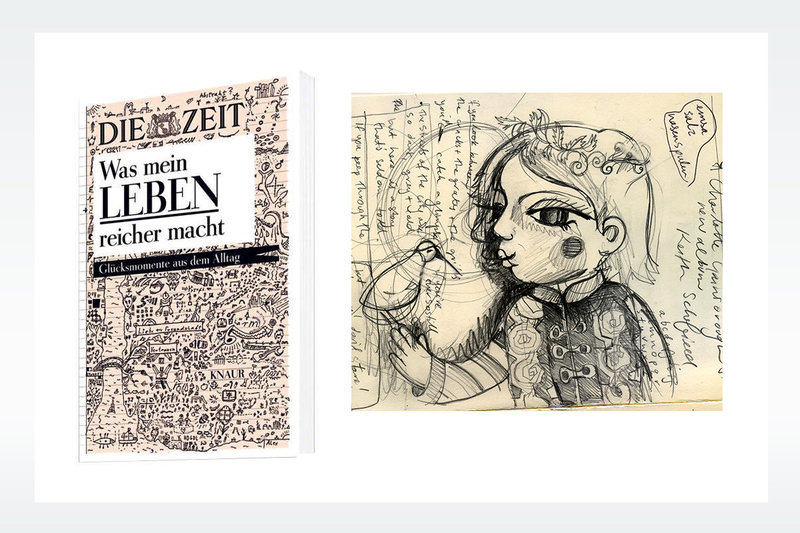 These collected musings of Die Zeit reading Germans are now available in hardback form. Turn to Page 161 to see my contribution in visual form! Was Mein Leben Reicher Macht by Wolfgang Lechner is available from Amazon and directly from Knaur Verlag.